Cotton is a major cash crop of Gossipium race. It is grown in warmer areas of the world. In India, Maharashtra, Punjab, Haryana, Gujarat, Madhya Pradesh, Karnataka and Andhra Pradesh are the major producing states of Cotton. It is grown in Kharif season in Northern India and in Southern India. In terms of area of ​​this crop, India is ranked first in the world and second place in production. 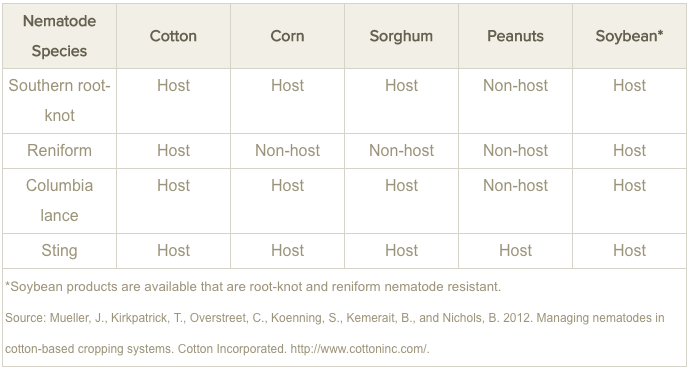 Various types of insects, fungus and sour cream affect the successful production of cotton. The following are two main cotton pieces of cotton. 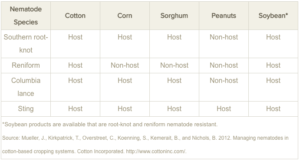 This nematode damages the cotton crop in many countries of the world, including India. It is commonly found in North India, Gujarat and Tamil Nadu. This plant nematode completes its life cycle in about 30 days. So many generations can take place in one year. The symptoms of the upper part of the plant are not specific. The infected plants remain small and sow. Leaves are faded in a strong sunshine. A large number of sapling infections cause the early death of the plant. 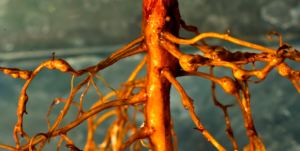 Infected organisms become special type of glands, causing roots to remain small. 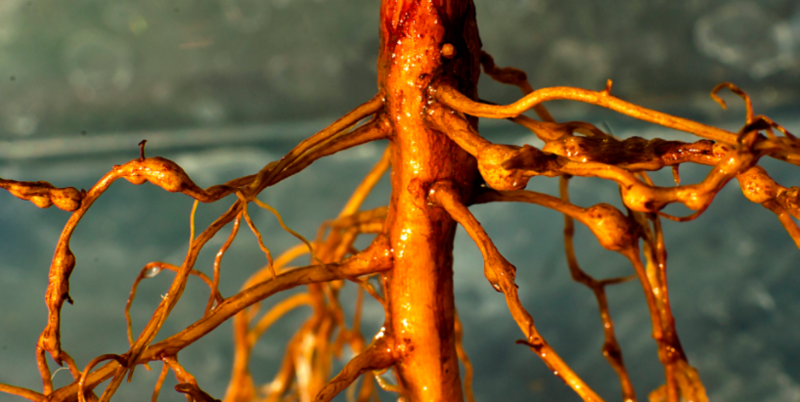 The holes created by root knots which provide a better environment for other harmful microorganisms. Plants infected become more sensitive to diseases caused by fungi. The problem of wilt / rubbing in the presence of this nematode is also thrived. 1. To deal with this problem, treat with Glucon azotobacter (strain 35-47) at 50 ml per 5 kg seed rate. Dry these seeds in the shade.